Student cadets of Saint Thomas High School in Lautoka were reminded about the impor­tance of discipline and the need to master it. 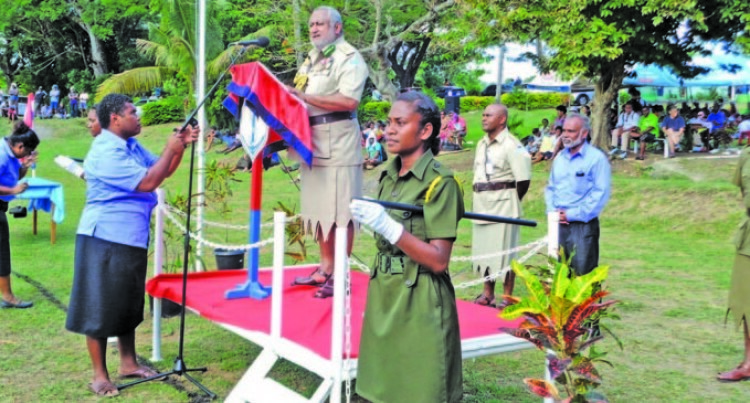 Fiji Corrections Service Com­missioner Francis Kean, who was chief guest at the cadets’ passing-out parade, said maintaining disci­pline was foremost in each profes­sion and mastering the skill led to success in peoples’ lives. Commissioner Kean urged the ca­dets to make good use of the train­ing. “I urge you cadets to make this training an investment in your life,” he stated. His message was centred on the importance of discipline and hon­esty. “Resolve to be honest,” Commis­sioner Kean stated, reflecting on his early days in the disciplined services and the advice he received from his superiors. “Being honest in our undertaking is a very simple yet a very powerful message,” he added. Commissioner Kean encouraged students and cadets to develop a learning attitude in their life. “Don’t have an ‘I-know-it-all atti­tude,” he said. Commissioner Kean told students to have an inquisitive mind and to try to ask as many questions as they could and said books helped in this aspect because they were a ma­jor source of knowledge. “You must invest in books,” he stated. Commissioner Kean encouraged students to continue working hard. “There is no substitute for hard work,” he said. He also acknowledged the school’s effort in advocating the COP23 pro­gramme, especially its bid to com­bat the litter problem. 263 cadets took part in the passing-out parade on Thursday.